It just blows me away that some people won't spend 79¢ to buy the right cover plate. Sheesh!! 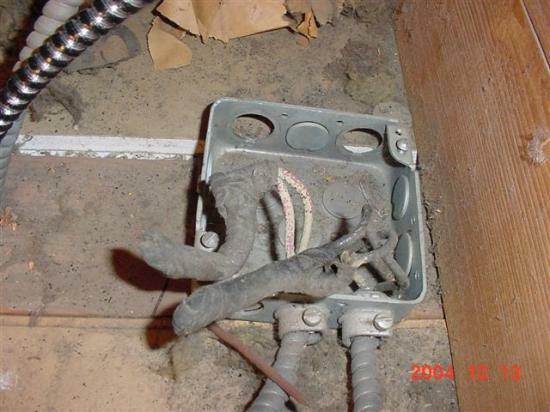 This was from a house with varnished-cambric insulated BX wiring, which is bad enough, but it looks like a homeowner couldn't leave it alone. I found the open junction when I ran my bare hands across the wires while removing insulation. 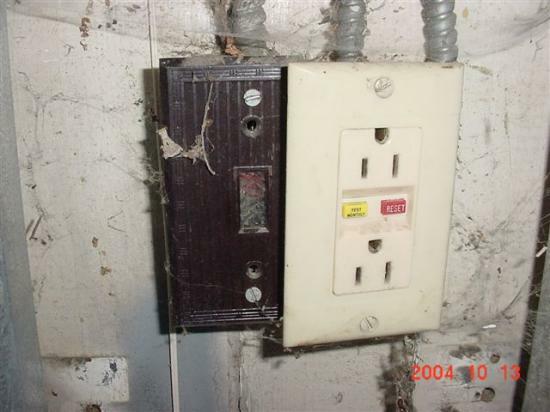 The second picture is the garage GFCI. There were about a dozen open junctions like the one in the first picture, as well as a hanging live wire. The house was probably built in the 50s, and the additional work done in the 60s.